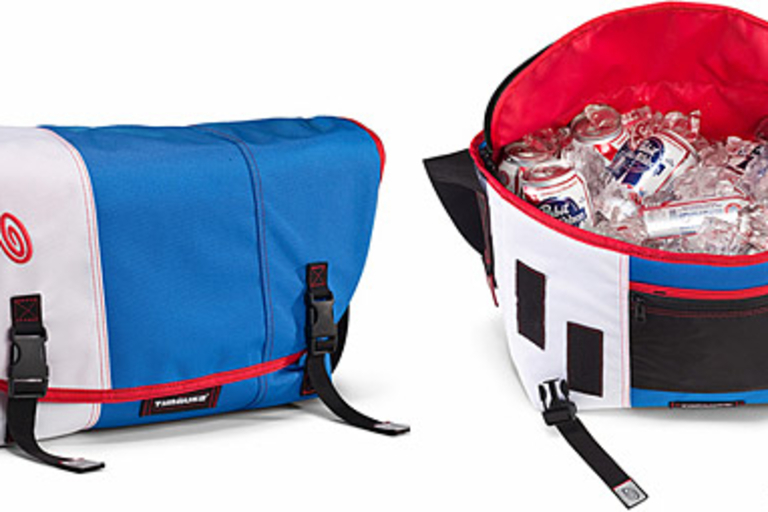 If you see fishing as more of a hiking adventure than a day of drinking beer at the local pond, the Safe Passage Hydration Chest and Day Pack ($150) is for you. 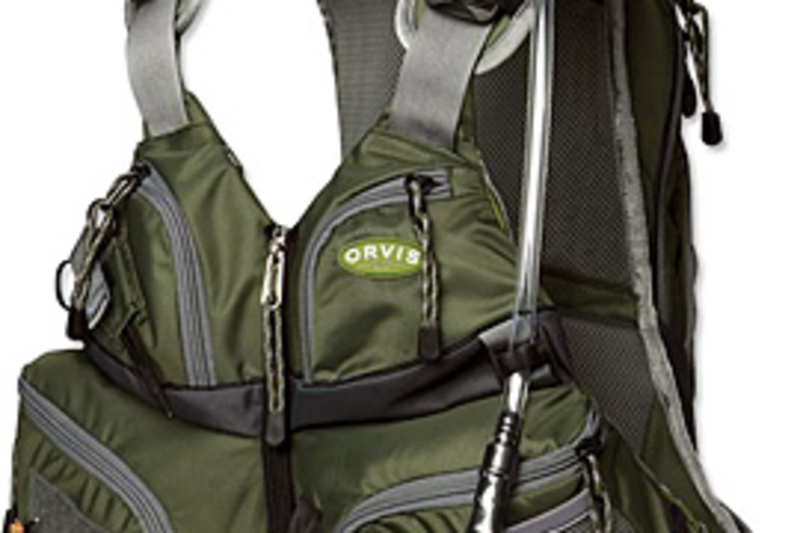 This backpack-styled vest features a neoprene-insulated bladder that holds roughly half a gallon of water to keep you hydrated, seven front pockets for all your gear, integrated hand-warmer pockets, a net holster, and more. 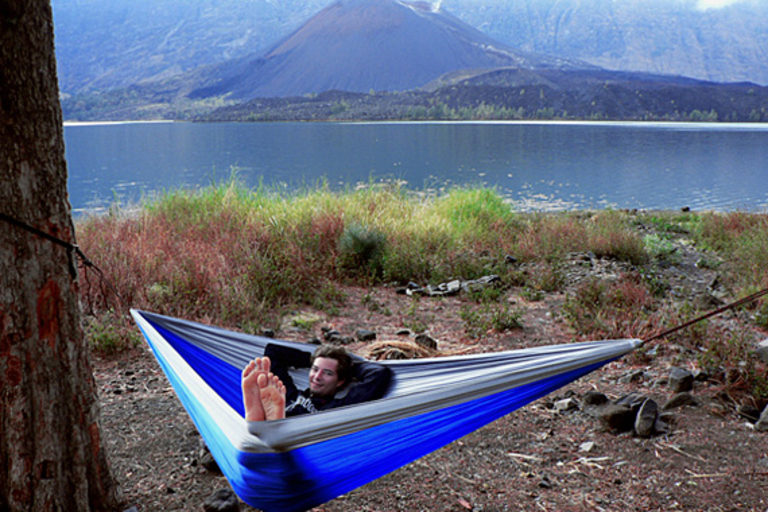 Enjoy the remainder of the summer relaxing in a Hammock Bliss Triple ($75). Billed as the world's largest portable hammock, the Triple is over eight feet wide and nearly ten feet long, perfect for couples, and is made from quick drying, breathable parachute nylon with sides of 770lb test climbing rope, and weighs only 26 oz. when packed into the attached travel sack, making it easy to pack along with you. 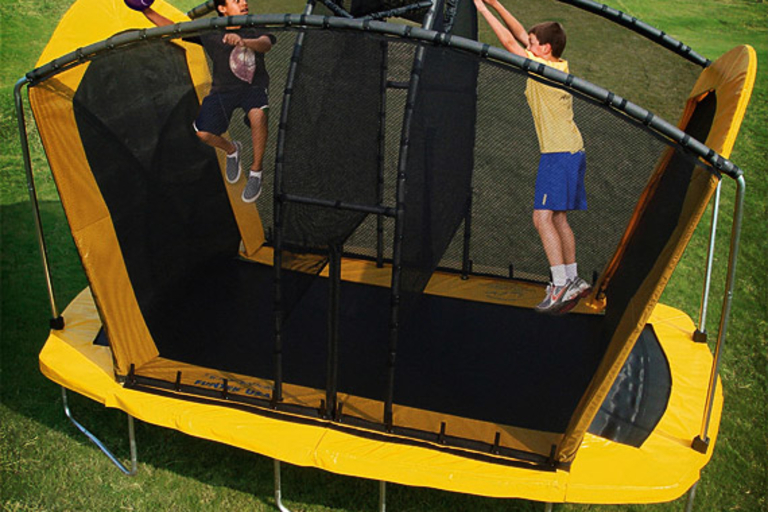 Combining volleyball, basketball, and intense jumping, the Spaceball Trampoline ($700) is one crazy game. In Spaceball, players jump around in individual areas — both floor and walls — of a trampoline, and try to throw the ball past their opponent through a netted tunnel to the other side, all while bouncing up and down. 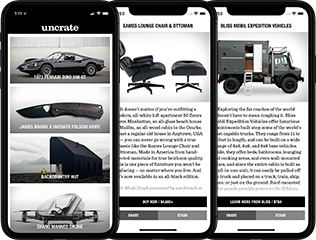 Lauded by former astronaut Scott Carpenter as "the best conditioning exercise for space travel," the game's trampoline features a galvanized steel frame for minimal corrosion, a sturdy, polypropylene treated playing surface, and support for two players of up to 200 lbs. each. Just because you're roughing it doesn't mean your dinners have to be lacking. Offering cast-iron performance without the back-breaking weight, the GSI Outdoor Dutch Oven ($110) will help you cook a campfire feast. 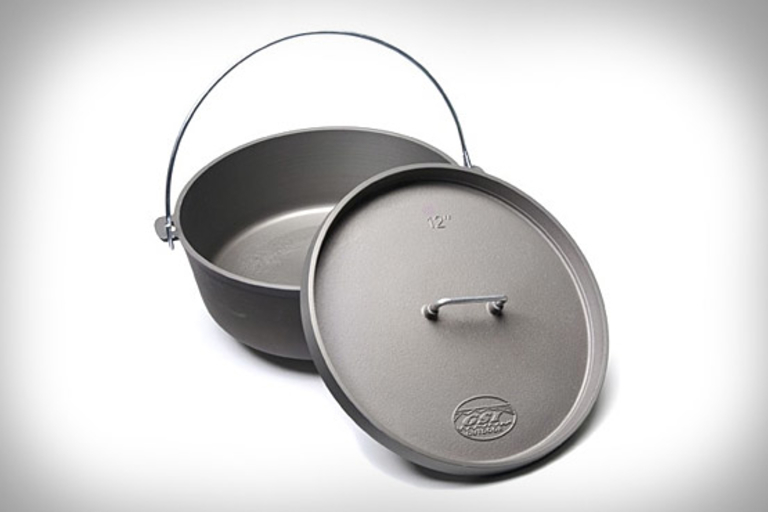 Made from cast aluminum, the 12-inch, 5-quart GSI offers non-stick like performance with no need to season, excellent heat transfer and distribution, a tight-fitting lid, and sturdy legs. Be good to nature while watching it. 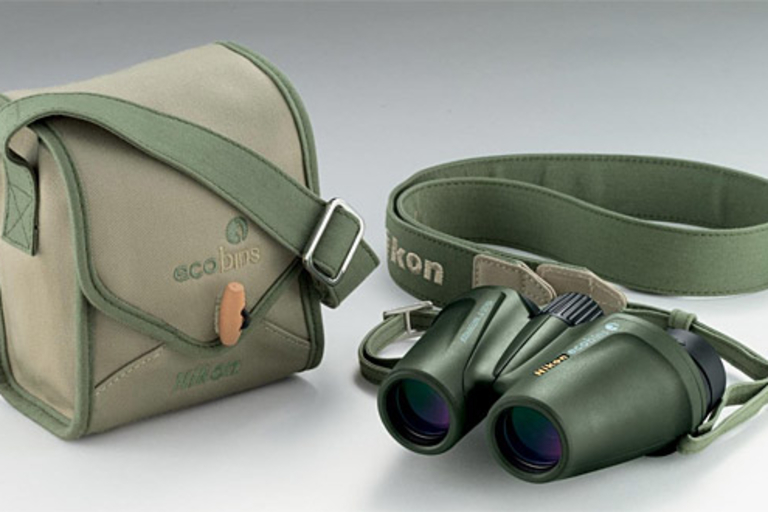 Made from lead- and arsenic-free glass, the eco-friendly Nikon Ecobins Binoculars ($200) are manufactured with no harmful chemicals and sport a non-chloride rubber body. The fully waterproof/fogproof binoculars also come with a Eucalyptus-sourced natural-fiber case and strap. Be prepared no matter what the circumstances with the Lifeline Ultralight Survival Kit ($15). Weighing in at only 7.5 oz. 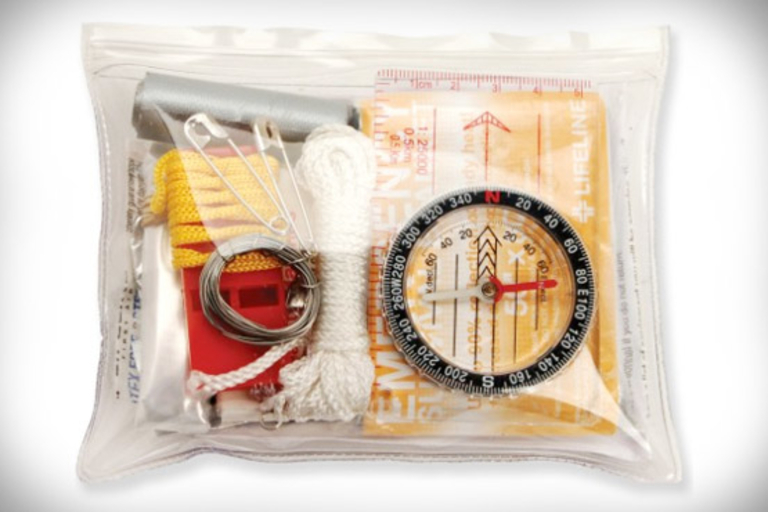 and only taking up as much space as a stack of postcards, this handy all-in one kit includes waterproof matches, an 80" x 50" emergency blanket, 50 ft. of fishing line with four hooks and sinker weights, a surgical blade, five wound closure strips, a map compass, emergency whistle, three feet of duct tape, and more, all in an included waterproof carrying case.